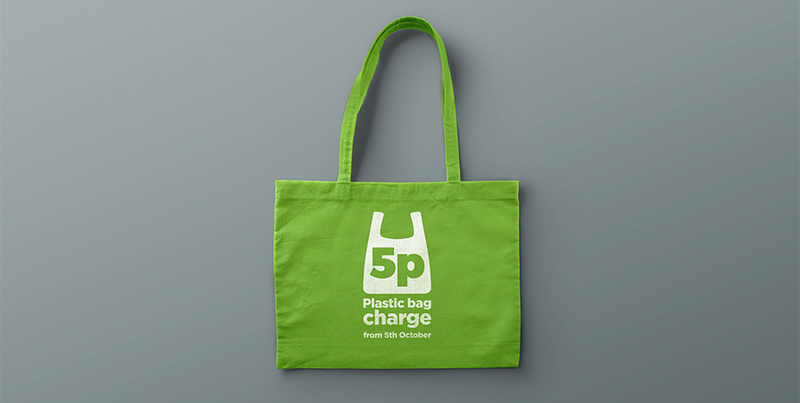 In 2014, Defra introduced a 5p bag charge for large retailers to help reduce the impact of plastic bags on the environment. 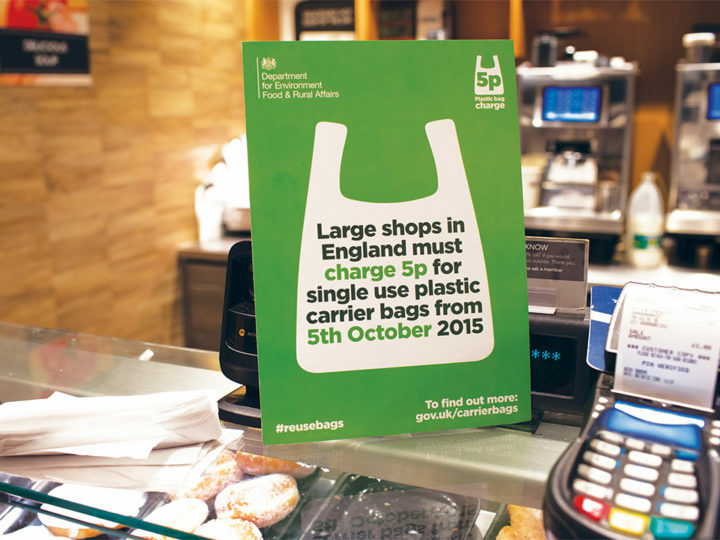 Our brief was to raise awareness so shoppers would be prepared and accept the change in advance. Simplicity was key since the campaign had to be understood by all. 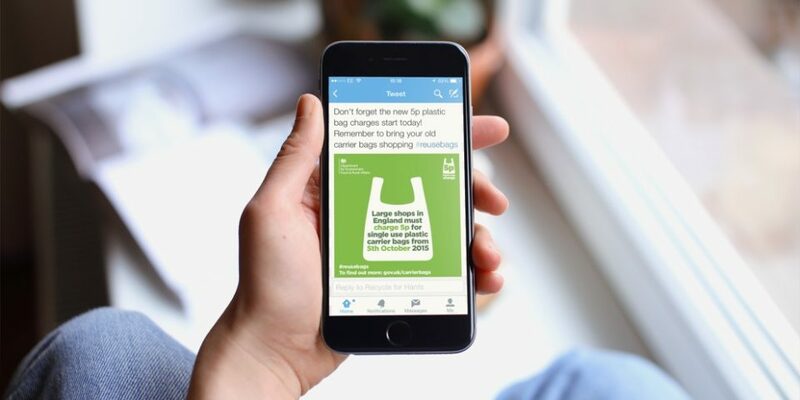 Our design used an image of a carrier bag to act as a reminder and as a holding device for messaging. 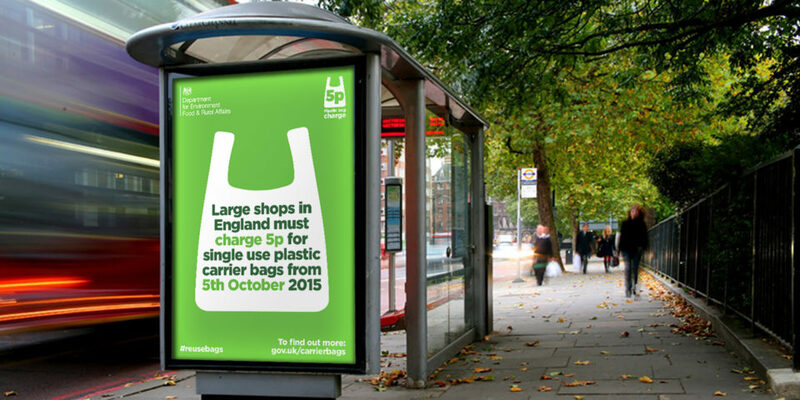 The green colour used to emphasise key works reinforced the campaign’s environmental aims and the typeface was specially selected for readability with rounded characters which felt friendly, positive and approachable.